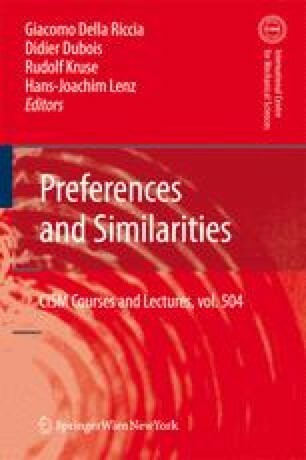 The term “preference learning” refers to the application of machine learning methods for inducing preference models from empirical data. In the recent literature, corresponding problems appear in various guises. After a brief overview of the field, this work focuses on a particular learning scenario called label ranking where the problem is to learn a mapping from instances to rankings over a finite number of labels. Our approach for learning such a ranking function, called ranking by pairwise comparison (RPC), first induces a binary preference relation from suitable training data, using a natural extension of pairwise classification. A ranking is then derived from this relation by means of a ranking procedure. This paper elaborates on a key advantage of such an approach, namely the fact that our learner can be adapted to different loss functions by using different ranking procedures on the same underlying order relations. In particular, the Spearman rank correlation is minimized by using a simple weighted voting procedure. Moreover, we discuss a loss function suitable for settings where candidate labels must be tested successively until a target label is found. In this context, we propose the idea of “empirical conditioning” of class probabilities. A related ranking procedure, called “ranking through iterated choice”, is investigated experimentally. Extended version of the conference paper Hüllermeier and Fürnkranz (2005).